FOREST OF A THOUSAND LANTERNS WAS AN EXCEPTIONAL EVIL QUEEN RETELLING. A fair warning to say however that this story isn’t for the faint hearted as there are a few graphic descriptions within the story. However, they helped paint a vivid image in my mind, no matter how disturbing it might’ve been! Let’s just hope no one wants to come after my heart for some lifeblood. Plus, another reason why this story was awesome was because the word Dragon was used several times which obviously is one of my most favourite words to see in books BECAUSE DRAGONS. The Dragon Lords are the Gods that the people of Feng Lu worship and it was interesting to learn about how they came to be and what happened to them. I imagine them as looking like the Dragon Priests from The Elder Scrolls V: Skyrim. She would bloom where she was planted and let her roots close around the throats of her enemies. 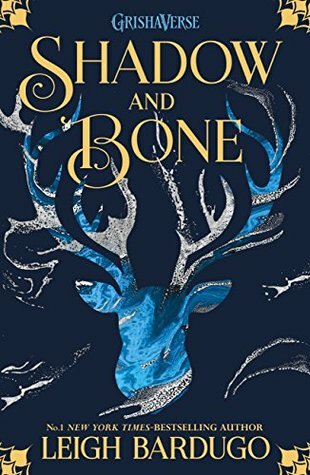 I am personally a HUGE fan of retellings (I mean, I’m even writing one myself) and this story did not disappoint for one second! I was intrigued by the destiny that awaited Xifeng and how much training she went through with Guma to become the girl she was at the beginning of the story. When Xifeng enters the Imperial Palace and is immersed in the world of eunuchs and ladies in waiting, it was so lovely to take in this world through a book as the only eunuchs I ever read or see are from a Korean Drama! The appearance of The Fool who would rival her and seek her destruction was an interesting addition to the story as well, and I do have my own thoughts about The Fool but they’re spoilers. What was also cool was seeing the events of the novel unfold and the many temptations that Xifeng was faced with throughout the novel. There was not an epic violent conclusion and I LIKED IT, it subtly gave huge foreboding to Xifeng’s fate and what would ultimately be her undoing. Only kings are arrogant enough to believe the world is too small to hold other men. All the characters within Forest of a Thousand Lanterns (apart from a few mentions) are east-asian and it really allows east-asian people who read this book know that there’s a novel out there for them that shows their representation. Forest of a Thousand Lanterns also helped me become more respectful of east-asian culture and I cannot wait to read more novels (maybe Want by Cindy Pon next?) IT’S AMAZING AND WE NEED MORE. XIFENG WAS AMAZING. I love that the story was told in perspective of the villain instead of the hero, it felt so refreshing! Also, the fact that Xifeng always held the value of herself over being a wife or lower than any man was phenomenal, always seeking to be an equal rather than a prisoner. It may seem that she’s being selfish, but she’s being true to herself and allowing herself to reach her full potential, something I can relate to. I also found the characters of Lady Sun, Lady Meng and Empress Lihua to be believable as each of them had their strengths but also their flaws that made them fatally vulnerable. Wei was another character that I did find annoying the more he appeared, but I believe it was probably due to his lack of understanding of Xifeng. Also, I’m totally on board for the friendship of Kang and Xifeng, two underdogs coming together to take apart a kingdom and gain control of the world. I’m hoping they’ll be able to prevail together, however knowing the fate of the story of Snow White and the Evil Queen, perhaps not. UNLESS IT CHANGES! THE WORLD-BUILDING WAS ELEGANT AND SUBTLE, LIKE IT SHOULD BE. The world felt so naturally built, there was nothing randomly thrown in and no purposeless scenes. Every fact about the world built something upon the plot or characters or both. It helped construct the image of the world in my mind. The scenery and the lore behind the world kept me captivated and interested in the world. I definitely hope some of my questions are answered in the sequel! Inspired by east-asian culture, the setting for this novel was simply beautiful. Just imagining it made it fabulous in my mind. Again, DRAGONS bought my heart. Forest of a Thousand Lanterns is heavily deserving of 5/5 stars for it’s amazing storytelling. I cannot wait for the sequel! What were your thoughts on Forest of a Thousand Lanterns? If you haven’t read it, tell me about some of your favourite villains! Let me hear your thoughts! Prev post: Wunderkids Part 1 by Jacqueline Silvester | YA Costumes That Are Already in Your Closet!Next post: Children of Blood and Bone by Tomi Adeyemi | A Must Read for 2018! This book sounds awesome! I haven't heard of it before, but I definitely will have to pick up a copy. It is such an awesome read! Great review! I've seen this book around a lot of times, and now I'm really tempted to pick it up! PLUS, THERE'S EVIL QUEENS SO SIGN ME THE HECK UP! Thank you so much and YES PICK IT UP ASAP! You mentioned Skyrim and the Evil Queen which means I AM SO ON BOARD!!! Reading this asap. Hahaha! Skyrim and the Evil Queen are just awesome, when put together it’s EPICNESS. Oh my goodness, I meant to read this. I read a sampler which I was sent after YALC, and I was hooked. Thanks for reminding me how great this sounds. No problem! I hope you enjoy reading it once you get around to it ???? Take a chance on it ???? Ohhh I own this. I can't wait to read it now! I hope you’ll get around to it soon, it’s awesome!